UPDATE: WE have received a second Matching Challenge of $1,000 to Honor Mrs Doris Huneycutt! Our Total matching funds are $3,000! 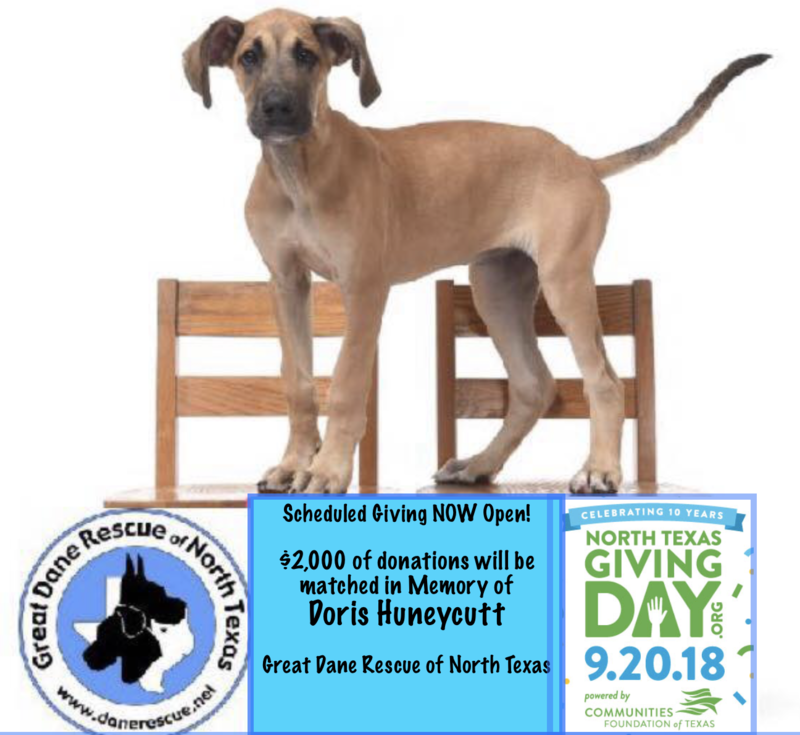 North Texas Giving Day is one of our largest fundraisers of the year and we rely on it to save Great Danes in area shelters. One of our generous donors has offered to match the first $1,000 of pre-scheduled donations to honor the memory of Mrs. Doris Huneycutt. Those of us lucky enough to have had Doris in our lives knew her as a tireless, fearless and dedicated defender of animals. Doris was an adopter, foster, volunteer and supporter of Great Dane Rescue of North Texas and we are proud to be able to Honor her memory in this way. 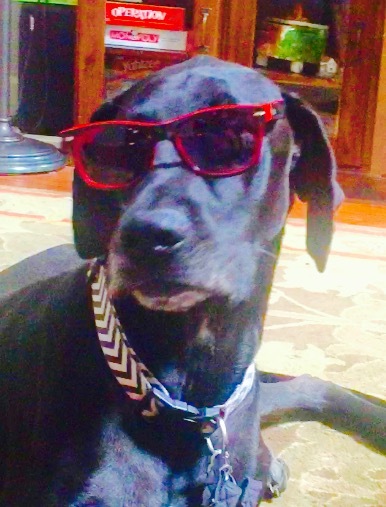 Click to visit NTXGiving day site and donate to Great Dane Rescue of North Texas. All donations "scheduled" between now and September 19th will be totaled and hit our total the morning of North Texas Giving Day (September 20th). All donations scheduled and made on the 20th will be eligible for matching funds and can make us eligible for "prizes". We also want to thank our anonymous matching fund donors who make this possible to maximize our donations. Honestly that is what rescue feels like... no matter how hard we work it is never enough.... Rescue is probably one of the very few "businesses" that work hard every day to eliminate their existence. I dream of a day when there are no animals in need, empty shelters, and every dog has a loving home. While our focus and mission is saving danes from area shelters a few years ago we challenged our volunteers and fosters to do more with other animal welfare organizations. Volunteers with shelters, animal outreach organizations and other responsible rescue groups. Several of our volunteers have joined with Animal Investigation & Response (AIR) assisting law enforcement, animal control agencies and communities with animal abuse related issues such as puppy mills and animal hoarding as well as, assists in disaster relief in Texas. Working with local authorities a large scale puppy mill was shut down and 300 dogs and ponies were saved from deplorable conditions. Please check out Animal Investigation & Response on Facebook and LOOK AT THE PICTURES if you do nothing else. Places like this exist because there is a DEMAND in the market for their PRODUCT. 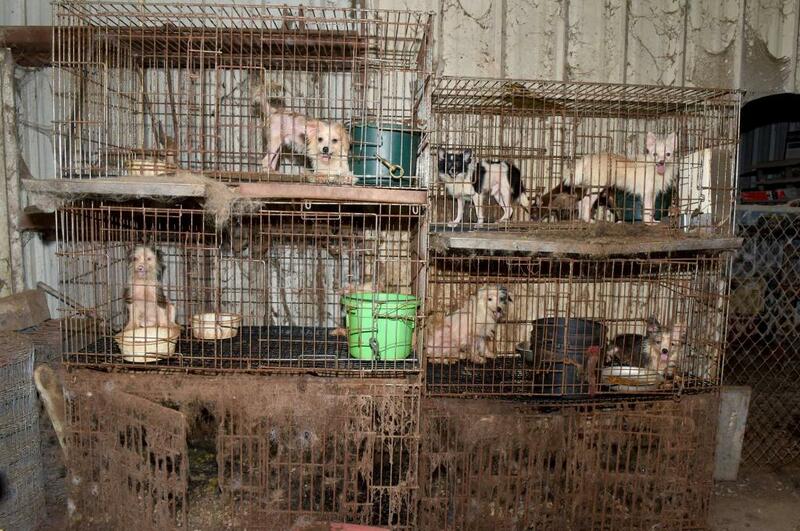 If you are buying your pets you are generating the demand and supporting this. Do not tell me your dog did not come from a puppy mill, that your puppy was "hand fed/home raised", that your breeder is "responsible". For profit breeders do not breed for the betterment of the breed, they breed for money not for the welfare of animals. We thank the volunteers with AIR, Houston Humane Society and Grimes County Sheriff’s Office for making sure these animals are safe. Read more about URGENT! Foster Homes Needed! Amazon's Prime Day is almost here. Deals start July 16, 3pm ET and run through July 17. Prime Day is one of the biggest shopping events of the year and a great time to shop for vacation, back to school or get that thing you really want! Your shopping makes a difference. 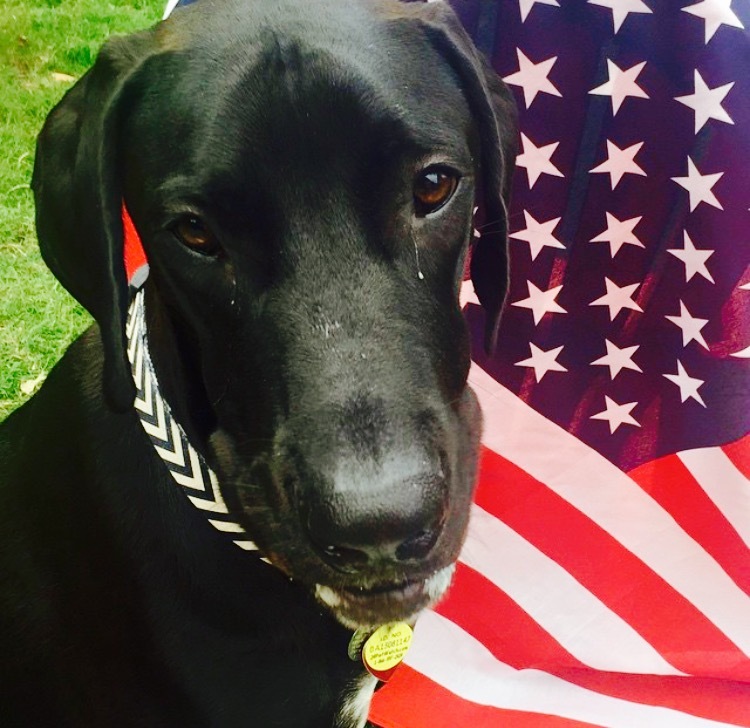 Amazon donates to Great Dane Rescue Of North Texas Inc when you shop Prime Day deals at Amazon Smile. Read more about AmazonSmile Prime for GDRNT! Happy 4th, Not so Happy 5th. Everybody loves fireworks right? Nope! Did you know that July 5th is the single busiest day at most animal shelters? The busiest day around the country is July 5th. Shelters are "absolutely chock full of terrified dogs on the day after the Fourth of July," said Dr. Kate F. Hurley, director of the Koret Shelter Medicine Program at the University of California at Davis Center for Companion Animal Health. A quick poll of DFW Metroplex Shelters confirms the same is true here! With the busy Summer season most shelters are beyond crammed so lost dogs frequently can't be held beyond the required 3-7 days. A microchip can help assure your pet will find its way back to you quickly. Read more about Happy 4th, Not so Happy 5th. Nala is on the Mend.. and so is our Emergency Fund! Let me start out by saying Nala is expected to make a full recovery. But now it is time for our Emergency Fund to Recover. When my phone rings late at night... it is never a good thing. So when I saw it was Nala's foster mom I feared the worst... Nala was bloating and thankfully her foster family recognized it and called. We were able to get her to the Emergency clinic where she underwent surgery , after the great care and a few days at the hospital Nala went home and is recovering well! Below we list some of the signs to recognize bloat. Nala's emergency bill was over $5,100. 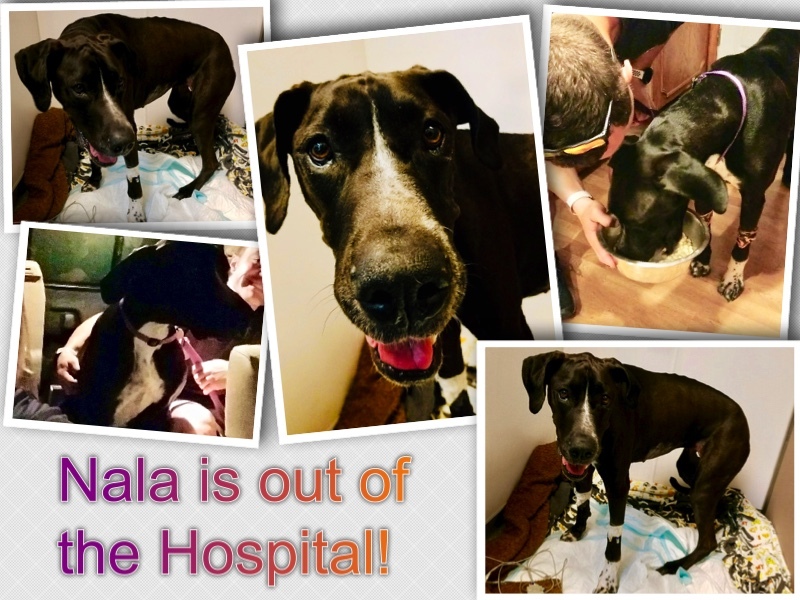 Read more about Nala is on the Mend.. and so is our Emergency Fund! Spring has Sprung... with STORMS! It is that time of year when Texas Weather throws the steering wheel out the window and makes life interesting. I have sen first hand the devastation that can be caused by tornadoes and hurricanes not only to structures but to lives. But it doesn't have to be a big storm to be an emergency for your family. A gas leak, plumbing flood, or a power outage may mean you have to evacuate your home fast and for a few days. 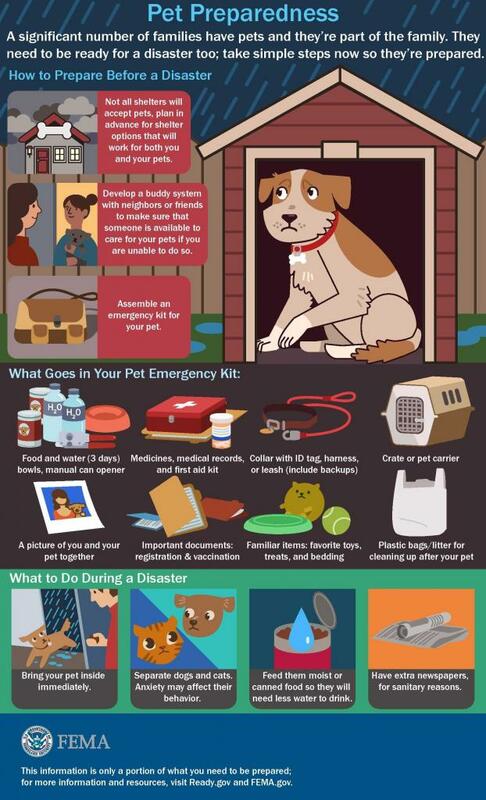 Being prepared can help minimize some of the stress for you and your pet should you need to evacuate your home. On a front window of your home will alert first responders of the number and kind of pets in your home. This will assist in getting them to safety. IF you are able to evacuate with your pet, and have the time write EVACUATED on the sticker. Layer your id to help assure a prompt reunion if you are separated from your pet. A collar with tags, microchip (is your information current?) and write your cell phone number on your pet... if your pet has long fur write it in the inside of an ear, if your dog is a dark color you can get a white or silver marker. This sounds silly but it is faster then scanning and may mean a quicker reunion. Keep a picture of your pet on your phone.. I also keep a copy of my pets vaccinations records as a picture. Obviously you want the name/number of your veterinarian in your phone but also have the name, address and phone number of the closest Emergency clinics. Do you have family or friends, a boarding facility or hotel names that accept pets? If you cannot car for your pets who is your backup caregiver? In a large scale emergency your local shelter may also offer temporary housing for your pets. If you look on line you can buy a "Go Bag" but assembling one is easy. Check out the check list and make sure you have it all. Read more about Spring has Sprung... with STORMS! Over the years we have been able so impressed with this group and honored to be invited to help them by Offering $20 Micro chips for your pets. The $20 includes a 24 Hour Petwatch Microchip AND registration in their data base.